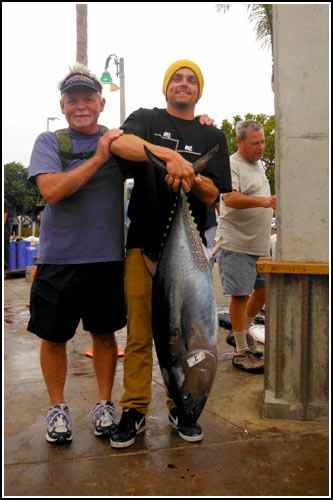 "The day started out a little slow," said the report from Searcher about July 28, "which is surprising with the amount of fish we saw late in the day yesterday. We spent part of the morning looking in the same area as yesterday, and then we went back to yesterday morning's zone to see if the fish were there. We stopped on a few kelps and caught a few yellowtail. We decided to look a little further south. 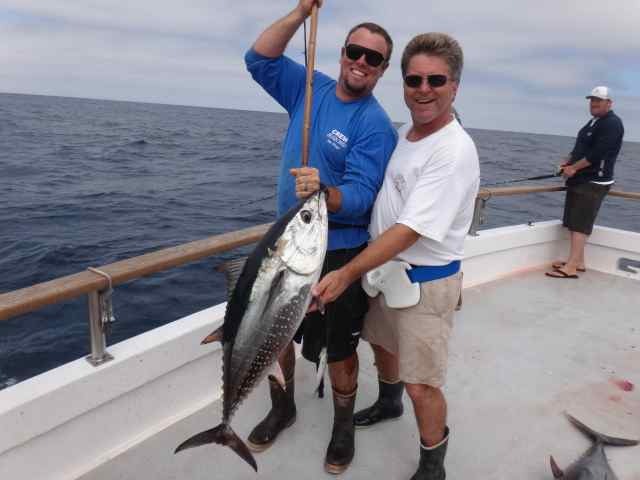 We got really lucky and had a troll fish and a school of bluefin came under us. We drifted for five hours and had steady fishing. The hot set-up was 40-pound test with 40-pound fluorocarbon and a 5/0 circle hook. A nose-hooked sardine or a belly hooked sardine worked well. 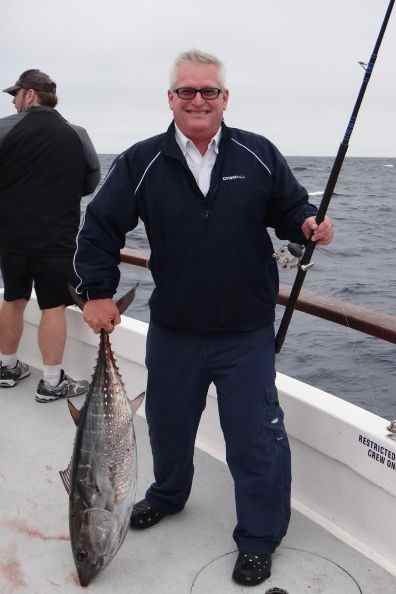 The weather is great with light winds and no sea condition." • The Searcher had quite a problem, "The fish wouldn't quit biting"